For example, AGI could include increased markers in regions believed to harbor embryonic lethal DNA variants. An embryonic lethal is a DNA variant that when an embryo inherits two copies (one from the sire and one from the dam) the embryo is aborted, usually early on (less than 45 days after conception). In an analysis of about 4,000 Angus cattle, researchers at the University of Missouri found evidence for 7 embryonic lethal haplotypes in Angus (haplotypes are DNA variants close together that are inherited in a unit or a pattern). With 300,000 animals genotyped within the AGI database, AGI scientist have the ability to repeat and expand this analysis. The dairy industry has been using these haplotype tests for several years. Dr. Stewart Bauck, Neogen vice president of agrigenomics, stated, "This project was a real collaboration, leveraging the resources and insight of AGI with the expertise of Neogen in chip design and processing, along with input from key external scientists so that the final product is an important step forward in Angus breeding and genetics." Bauck continued, "The novel tool, coupled with low cost pricing puts access to the technology within the grasp of every producer and removes barriers to broad scale genomic testing, not just for sales bulls and herd sires, but replacement heifers as well. Broad scale testing, along with good phenotype measurement, coupled with the move to the new one-step program for the genetic evaluation, positions AGI, the American Angus Association and Angus breeders everywhere to continue to prepare the breed to meet demands for beef production in the 21st century." The motivation behind an Angus-specific genomic test is that if we get the right DNA variants in the test, the genomic prediction performs better. More is not better. It is about getting the right 50,000 DNA variants. 50,000 DNA markers, a magic number? We often hear discussions about 50K this or 50K that. Is 50,000 DNA variants some sort of magic number? No and Yes. The number 50,000 is not magically. The technology frequently used for DNA marker testing (genotyping) easily fits about 50,000 to 60,000 DNA markers. The first genomic panel widely used for genomic selection included 54,000 DNA variants. 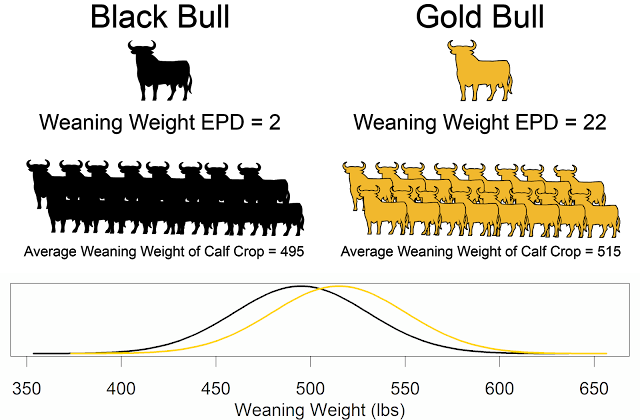 This panel, released in 2008, was created by Illumina, the USDA, the University of Missouri and the University of Alberta and was called the Illumina BovineSNP50. In the last nine years, while the space available on the chips has not vastly increased, the prices have gone from $150 to $37. However, 50,000 DNA variants is an important level to reach. We need between 20,000 and 50,000 DNA variants to accurately describe the variation and relationships within a breed of cattle. Will we see a response from competitors? Further, will other breed associations be able to decrease the price point for their GE-EPDs? In the beef industry, we often talk about heterosis, also known as hybrid vigor, being the only free lunch. In my opinion, genomics has brought us a new free lunch—imputation. Imputation is the process of using tested DNA markers to infer the genotypes at DNA markers that were not tested. In other words, fill in missing data based on patterns in the observed data. DNA variants are inherited on strings of DNA (chromosomes) they are inherited in units (haplotypes). These haplotypes create patterns in the DNA genotype data. We can use these patterns to infer the genotypes at untested DNA markers. Imputation means we can buy a test with 20,000 DNA variants and get the same amount of information as buying a test with 50,000 DNA variants. This is how the Zoetis i50K and the HD50K work together. Variants from the i50K are used to impute DNA variants that are on the HD50K (but not included on the i50K). Last fall, Neogen launched a new product called the GeneSeek® Genomic Profiler™ Ultra-Low Density (GGP uLD). This product was designed to increase imputation accuracy while decreasing the price of the assay. This assay would be a viable option for breed associations looking to decrease the price of their genomic testing. The GGP-uLD is an available solution for decreased GE-EPD cost for many breed associations. The other option for decreased genotyping costs is to buy DNA tests in bulk. The Irish Cattle Breeding Federation (ICBF) bought 1 million DNA tests during a single purchase. This allows ICBF to sell DNA tests to producers for €22/head (~$26/head). They began the program in 2015, and in April of 2017, they had genotyped over 1 million cattle. 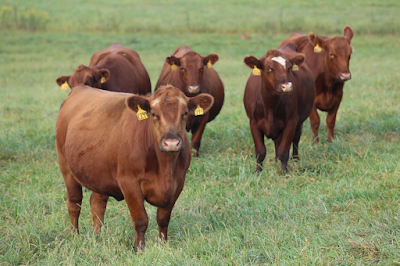 It is an exciting time to be a part of beef cattle breeding! We are reaching a critical mass of data that allows us to create new products and implement new approaches.